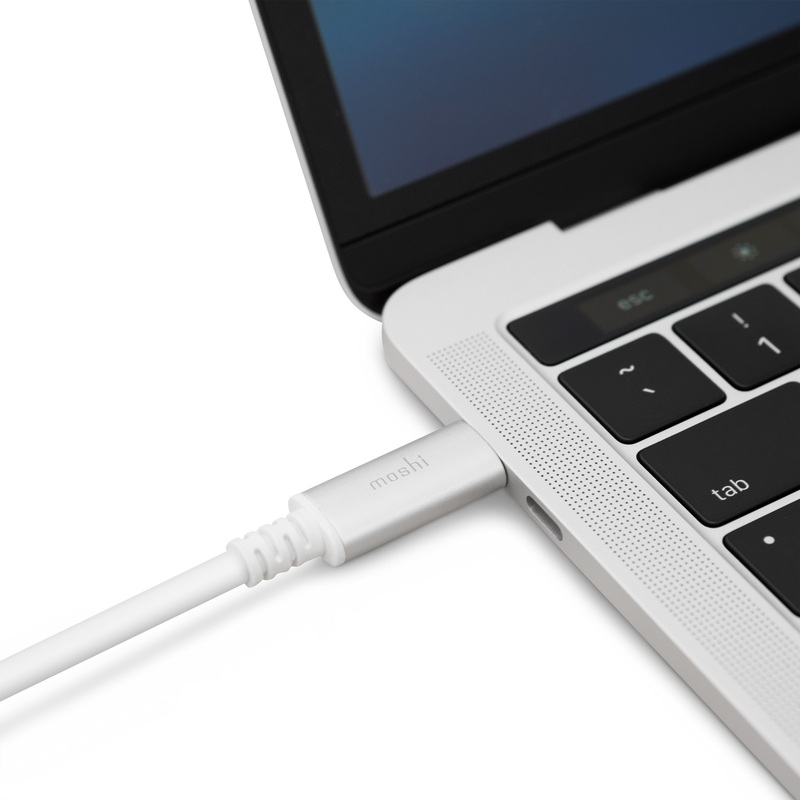 This cable outputs high-resolution video from any USB-C or Thunderbolt 3 computer like a MacBook or MacBook Pro and displays it on DisplayPort monitor. 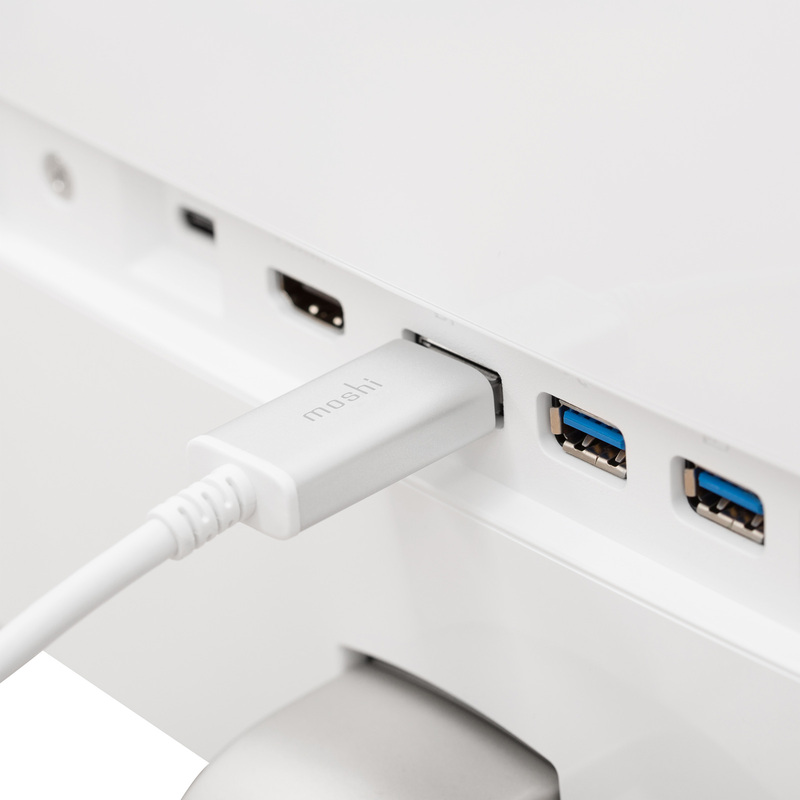 Connect your USB-C or Thunderbolt 3 (USB-C) computer to a DisplayPort monitor. 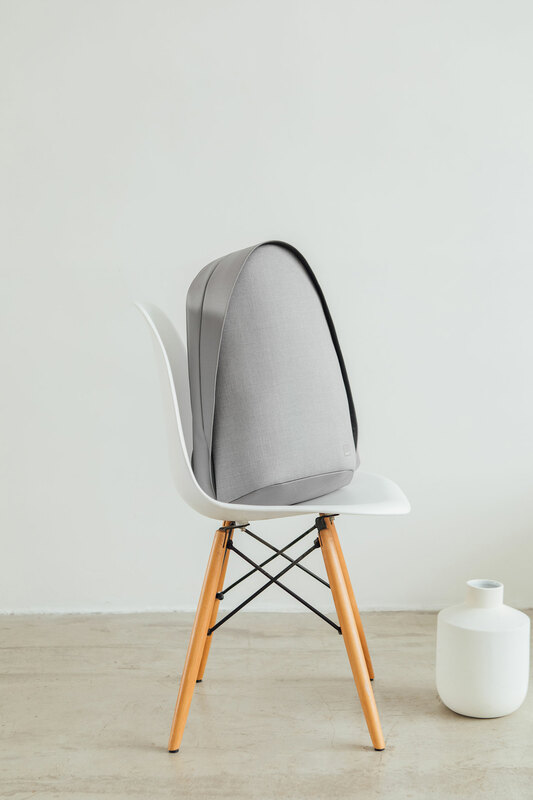 Aluminum housing to minimize electromagnetic interference. It supports 60 fps update rate, 5K (5120 x 2880) ultra HD image output. 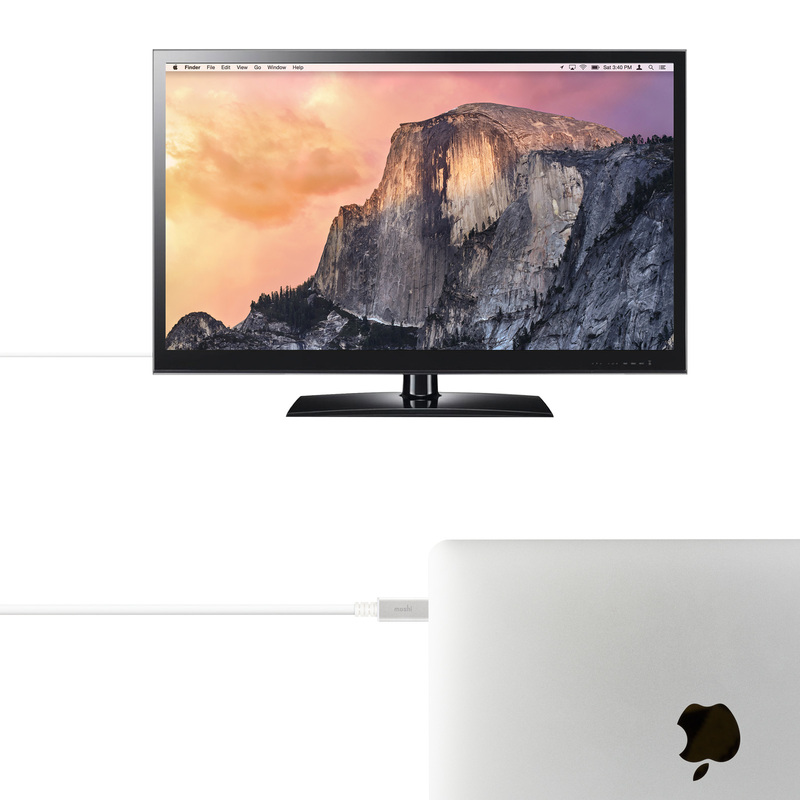 Connect your DisplayPort computer to a USB-C or Thunderbolt 3 monitor. 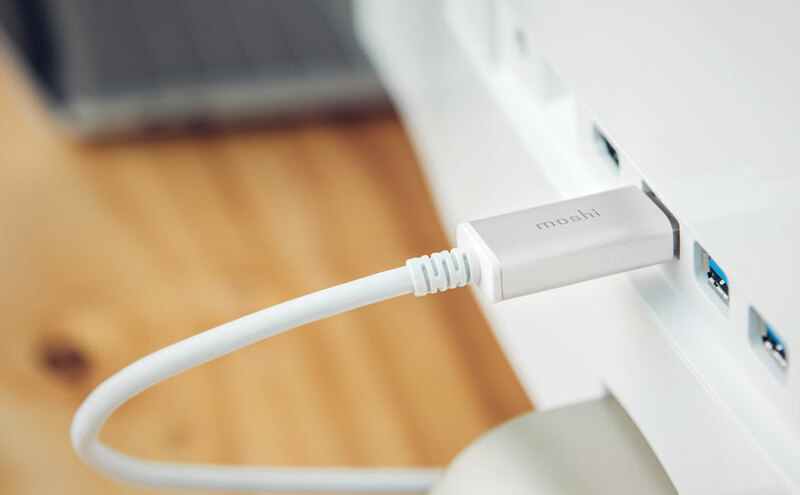 Go one step further than 4K with Moshi's USB-C to DisplayPort Cable. 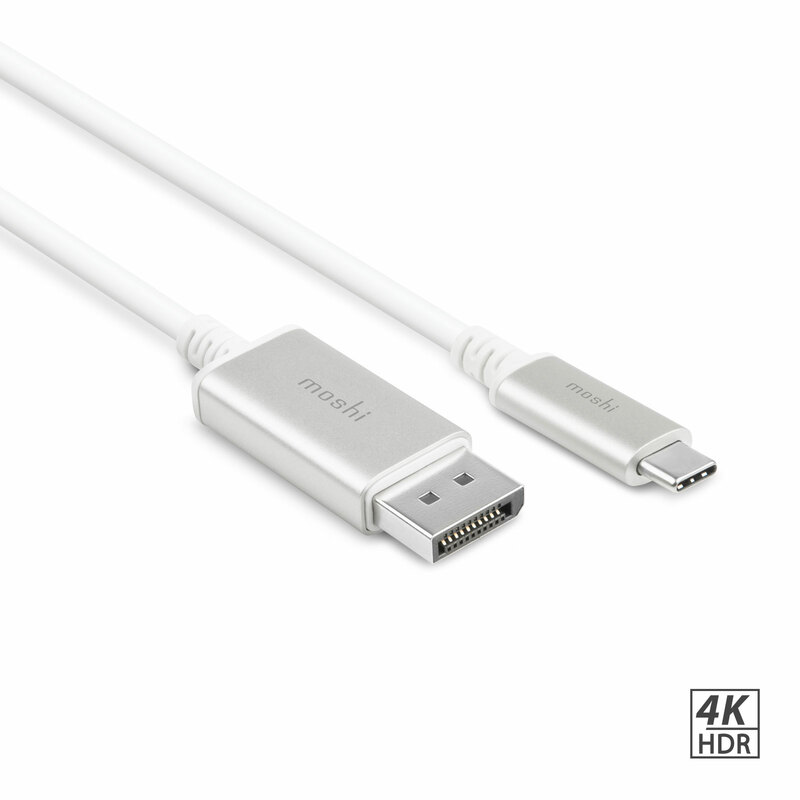 This industry-leading 5K cable uses high-speed technology to support up to 5120 x 2880 video output with a 60 Hz refresh rate. 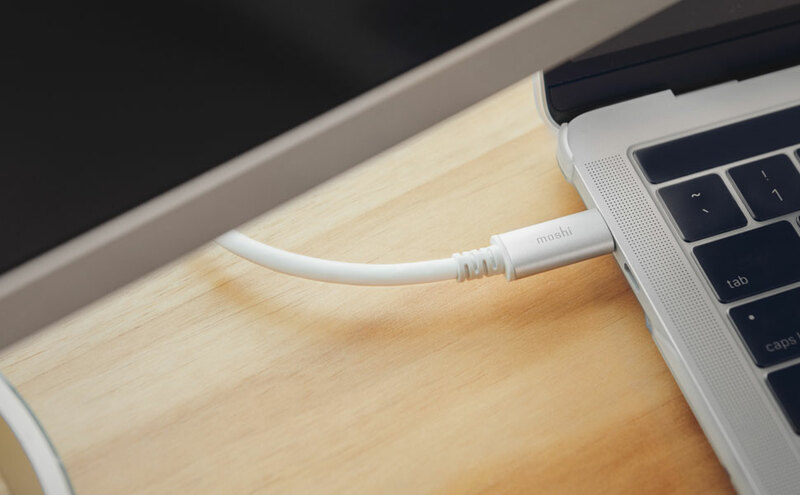 Easily connect your new Thunderbolt 3-enabled Mac or PC to a 5K DisplayPort monitor to enjoy crystal clear, blur-free video as well as multi-channel digital surround sound. 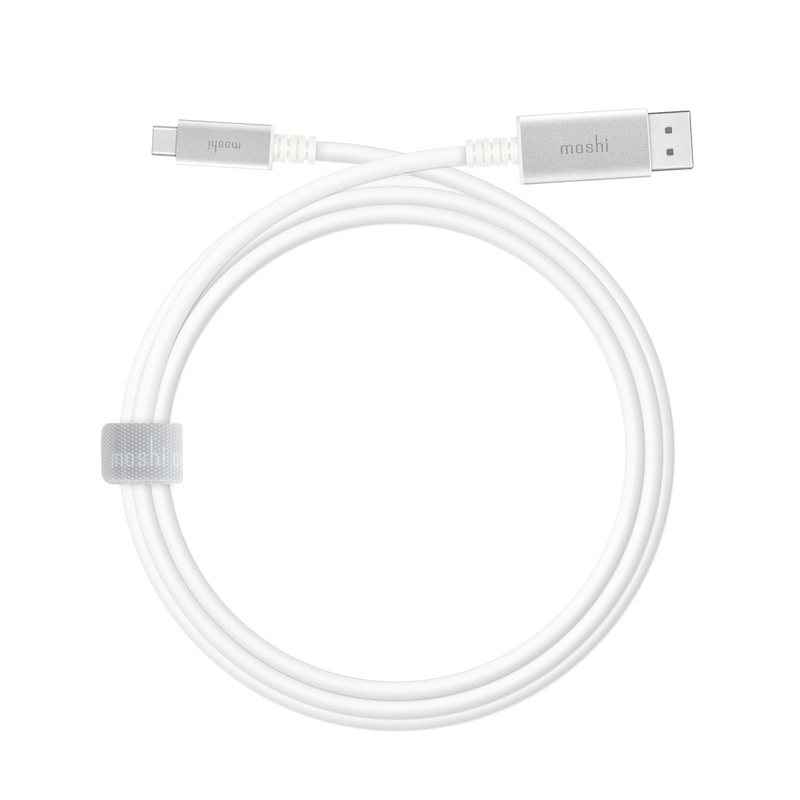 Both ends of the cable are also encased in anodized aluminum to minimize electromagnetic interference and ensure long-term reliability. 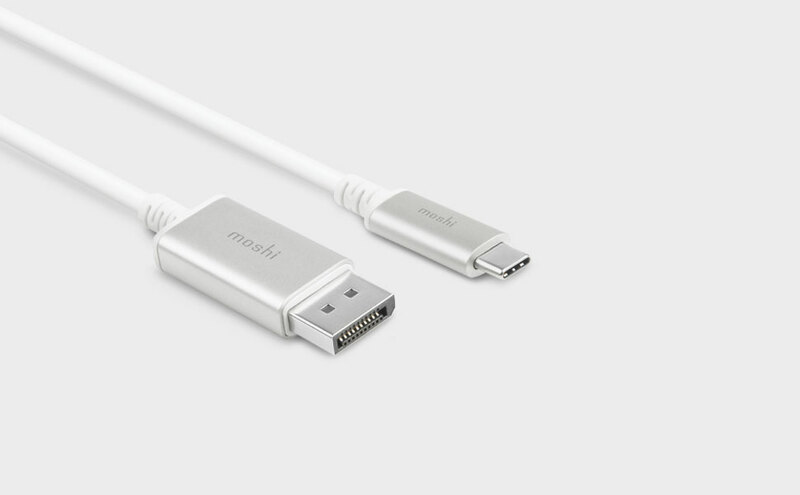 The cable also features bi-directional support to connect your DisplayPort computer to a UHD monitor with USB-C input. 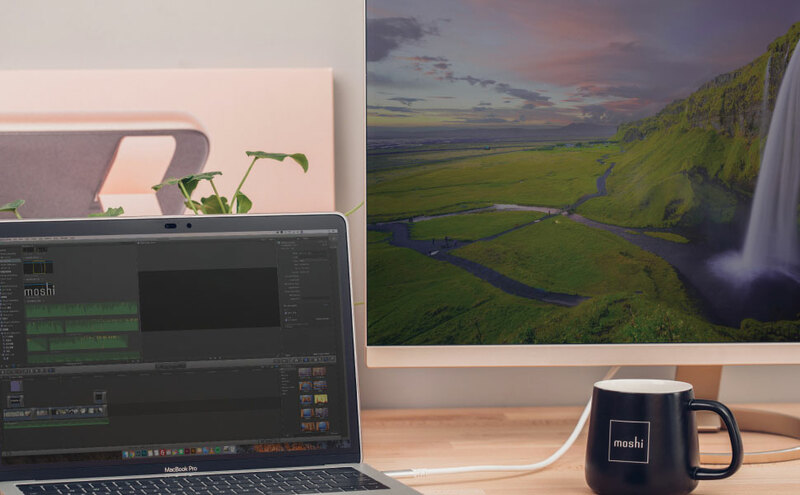 Supports up to 5K video resolution with 4:4:4 chroma subsampling.